Latest cannabis related articles found in the (local) press and on the internet, translated in english for you who are interested. (at our best way we can ;-) For the moment most of the coffeeshops in the Netherlands are still open to welcome tourists. The reason why in the city center of Amsterdam several coffeeshops are shut down, is because they are to close to schools. The coffeeshops closed in the red light district is because the city council want to reconstruct this area of the city, so far the latest news about the coffeeshops closing their doors. Two coffeeshops, the game and the future are closed. After shootings and a handgranate wich was found, police shoot and killed a 17 years old wich tried again shooting at night at the shop, but did not see the surveilance waiting for him. Most shocking thing is that the boy who was killed is the son of a collegue police officer of Zoetermeer, a town nearby Delft. The police has discovered two cannabis farms. A total of 439 plants were found and destroyed. This morning, officers found a nursery in a hidden room in a garage at the Ambachtsweg. Also a motorcycle was found in the garage. This is confiscated. The electricity for the nursery appeared to be stolen. No arrests have yet been made. 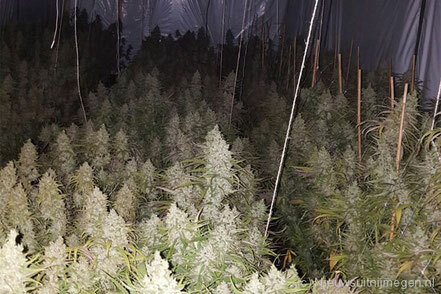 The hidden room consisted 120 cannabis plants and is dismantled by a specialist company. 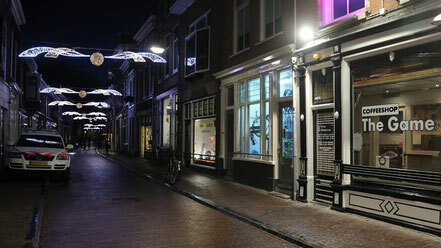 Another cannabis nursery was found in the Bongerdstraat. At the time, the police stood at the door they found a woman in the house. She appeared to reside illegally in the Netherlands. She was arrested and be handed over to the immigration police. The cannabis nursery in the apartment house was divided into three rooms. In total there were 319 plants confiscated. Also in this case there was theft of electricity. The power connections caused a very incendiary situation. A specialized company has dismantled the nursery and destroyed all materials. Saturday morning, agents of the National Police arrested on suspicion of laundering money, two men from France. Around 10:50 they saw a suspicious minivan in the parking Wouwse Tol along the A58. 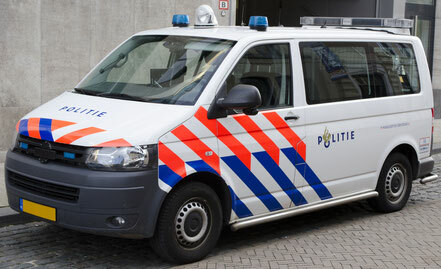 The minivan was then followed to the Gentian Street in Bergen op Zoom. After the driver parked in the street the passengers have been checked by the agents. At frisk nearly 9,000 euros appeared. Also one of the suspects had a note attached themselves with supplies for the construction of a cannabis nursery. Coincidentally, the budget it was around 9,000 euros. Because the men were unable to show where this amount came from, they were arrested. The suspects are a 25-year-old man from Cuincy and a 33-year-old man from Douai. They were taken into custody on suspicion of money laundering. Regulated and controlled cannabis cultivation is practically possible. According to a study of the city of Heerlen that just presented. The Mayor of the City Heerlen wants to offer a real alternative certified weed-producing company for illegal cannabis. Een Vandaag reporter Harm Atteveld in the town hall of Heerlen. Mayor Mr. Depla tells that the city of Heerlen annually wants to cultivate 500 kilograms of weed in 14 different strains and deliver the local coffee shop to not only tolerate the use but also tolerating the cultivation of cannabis. Last year Mr. Depla signed with Mayor Van Gijzel of Eindhoven and other mayors from Brabant and Limburg the 'joint declaration'. 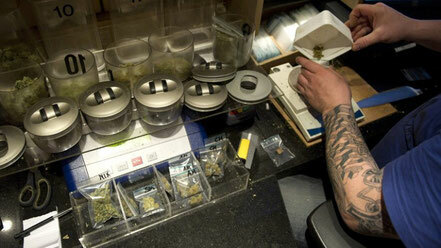 Therein the Southern mayors called Minister Opstelten from the justice department to regulate the production of cannabis. Is Mayor Mr. Depla right now coming with the results of his research now Minister Ivo Opstelten of Justice has just quit? Depla also responds to a report from the Heerlen "Meezenbroek area" a disadvantaged neighborhood, where residents say there are 60 to 70 illegal cannabis nurseries.